It seems that the new developer beta version of iOS 12.1 has some pretty clear clues and indicators pointing to another Apple release coming soon. How can a beta OS tell you that? Well, a reference to “iPad2018Fall” isn’t very ambiguous. That October iPad and Mac event is looking pretty likely right now. Guilherme Rambo of 9to5Mac is doing his usual bit, searching through iOS for new pointers, references, and features. So far, he has uncovered evidence that the iPad Pro will have a TrueDepth camera and Face ID, as expected. He has also verified that the new Pros will support Animojis and Memojis, will sync your existing Animojis and Memojis if you have an iPhone X or greater, and best of all, that the TrueDepth camera WILL support landscape orientation. That last bit is very good news, and blows apart the fishy rumors of portrait keyboards and locked Face ID that was floating around a month or so ago. The good news doesn’t stop there. Steve Troughton-Smith, another well known iOS code whisperer, revealed another interesting nugget from iOS 12.1 on Twitter earlier today. Now this is very interesting news, as it lends credibility to what seemed to be an unlikely rumor that Apple would be switching the iPad Pro’s port to USB-C. I certainly didn’t take Ming-Chi Kuo at his word on that one nine days ago, but I have to reconsider that now. This new capability would not have shown up in the iOS 12.1 Simulator for no reason, and the fact that attaching a 4K display wouldn’t be possible with a Lightning adapter is telling. The USB-C rumor has real legs. 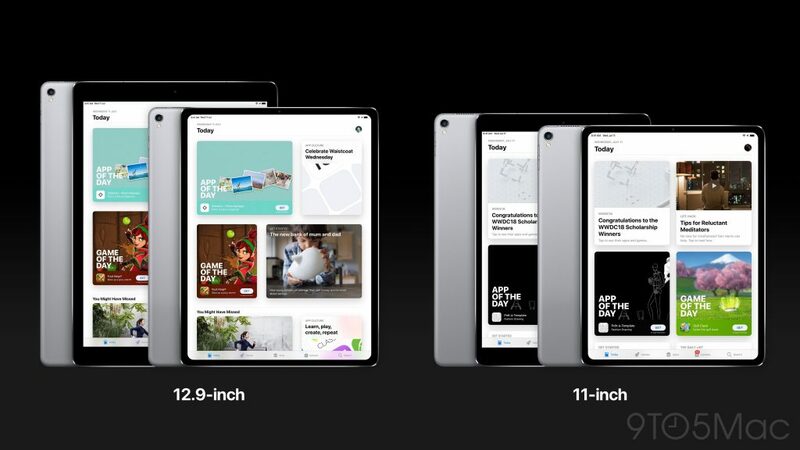 While I definitely had my doubts that Apple would move the iPad Pro to a physical USB-C port this year, I am definitely not opposed to it. In fact, I’m pretty excited by the prospect. The USB-C port is one of the standout features of the Surface Go that I’ve been playing with lately, as it gives users a lot of options for external storage and connectivity. An unrestricted USB-C port that works with dongles and hubs would really supercharge the iPad Pro’s productivity potential. I would absolutely be on board with that. I may be jumping the gun a little here. Even if Apple transitions the iPad Pro to USB-C, there is no guarantee that they will open the port up for any and all uses. They may keep it locked down just as tight as the Lightning port. In fact, knowing how Apple typically does things, that is more likely than the alternative. However, even if it were limited initially, getting a port with so much flexibility would give me hope that Apple is looking beyond the Pro’s current capabilities and limitations to a more powerful and flexible future. Forget about all those new iPhones and Apple Watches for a moment. Are you ready for some iPads? What do you think about the prospect of the iPad Pro getting a USB-C port? Let me know what you think in the Comments section below, on Flipboard, our Facebook page, on Twitter, or on our new Instagram account.